The HHG1394 Gauss meter offers a quick and reliable instrument to measure electromagnetic fields in 3 axis in the 20 to 2000 milli Gauss range or 2 to 200 micro Tesla range. The HHG1394 can measure and store measurements for downloading into a PC with included USB software or operate real time for live viewing. This meter is used to measure electromagnetic field (EMF) in the frequency band of 30 to 2000 Hz. 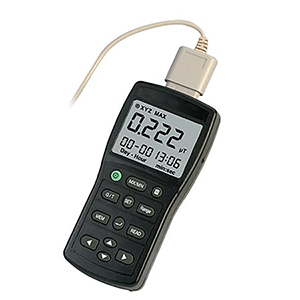 The HHG1394 is an excellent tool for measuring electromagnetic field radiation intensity in 3 axis of electric transmission equipment, power lines, microwave ovens, air conditioners, refrigeration, computer monitors and video/audio devices. 참고: Comes complete with 6 "AAA" batteries, hard case, software CD, USB cable, and operator's manual.